Only 1 in 40 students voted for prom court last year, but this fall nearly half of all students participated in the homecoming vote. After prom’s meager participation, something had to change. For homecoming, new measures were taken. The online survey was altered to be simpler and take less time, students were given an opportunity to vote during resource time, and a mandatory, offline vote used to determine finalists was added. “It was a lot easier than last year, and I liked that I didn’t have to vote outside of school,” East junior Maddie Gogolewski said. Melissa Werth, an East math teacher, coordinates all school dances and is responsible for directing the voting associated with these events. “I think it’s great to see students getting involved with their school, and I think court voting really showcased that,” Werth said. For the average student, school isn’t always an exciting place to be. Crowded hallways, monotonous class schedules, and the stress of homework and grades don’t always equate to a feeling of pride in school. To counteract this feeling, administrators and teachers provide a myriad of opportunities to show students that our school really is a thing that students can take pride in. This year teachers were asked to keep track of how many East and West students participate in Spirit Week, and the winning school will receive a Spirit Trophy during half-time at Friday’s football game. “As students become more aware of the opportunities inside our school, they’ll take more pride in our school, which correlates to them having more school spirit,” Werth said. 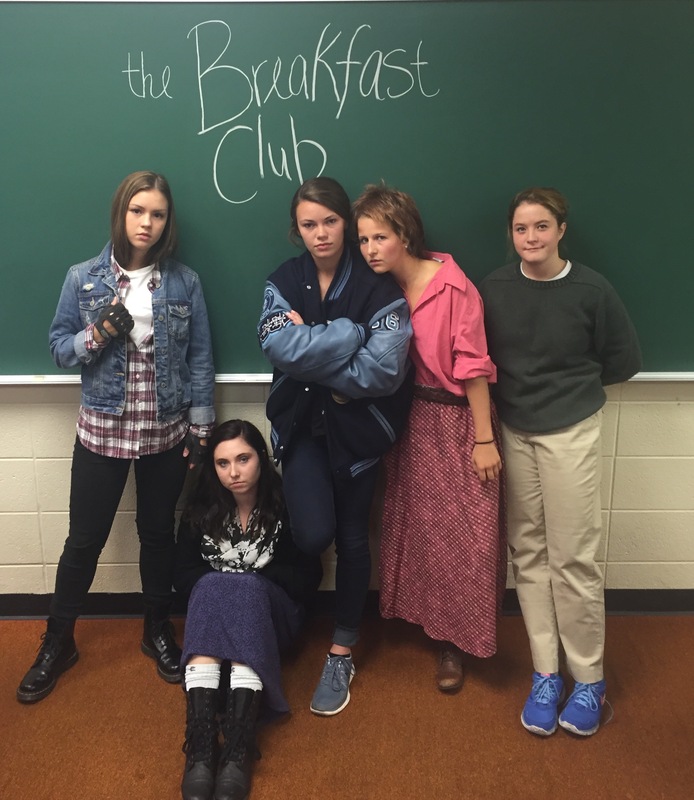 For many students, homecoming week is the most exciting time of the school year. Dress up days, riveting sports matchups, and the dance all combine to create an electric atmosphere. Every year, Friday’s dress theme is Spirit Wear. Students go all out in an effort to show pride in their schools, and support for school spirit just keeps on growing. Homecoming king and queen will be announced at Saturday’s dance. With the majority of the votes coming from underclassmen, Werth is confident next year will be an even bigger success. Many students agree. “The themes get better every year, and I can’t wait to see what next year will be like,” West junior Anna Dienhart said. 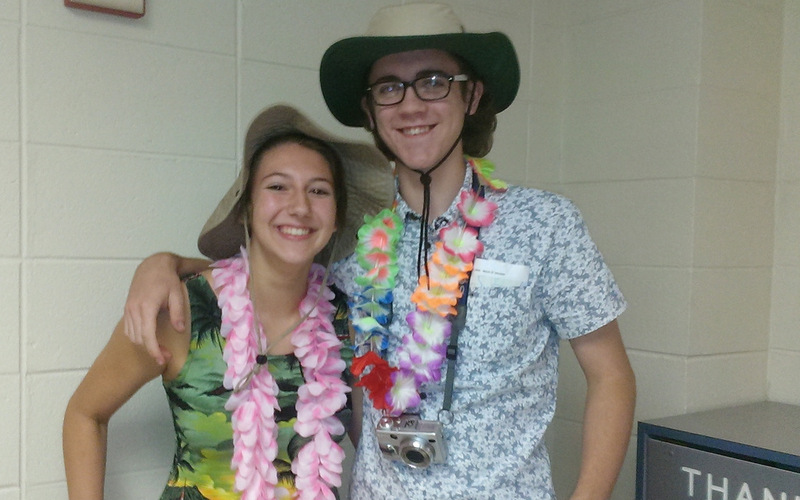 West junior Haley Sackett and East junior Daniel Sudbrink enjoyed Tourist Day. Photograph by Ethan Stubblefield, Current Staff.